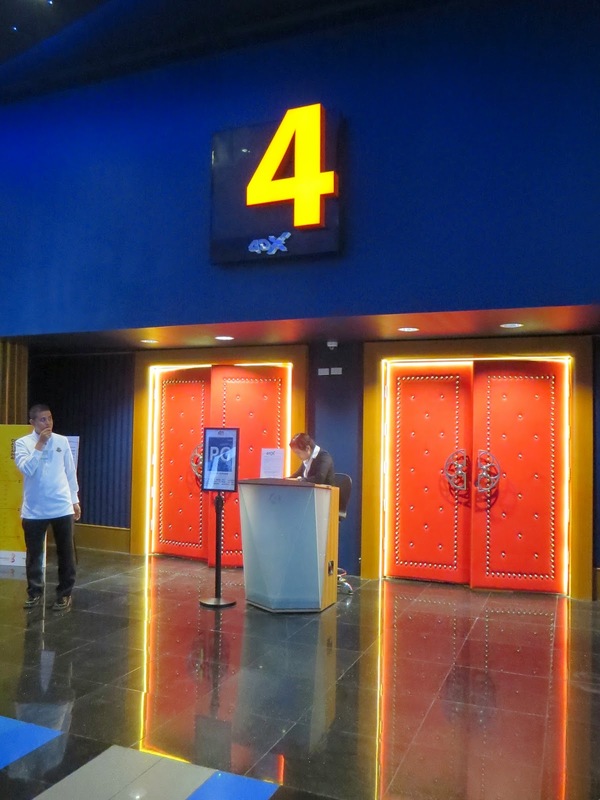 The New Bonifacio High Street Cinemas and My First 4DX Experience. 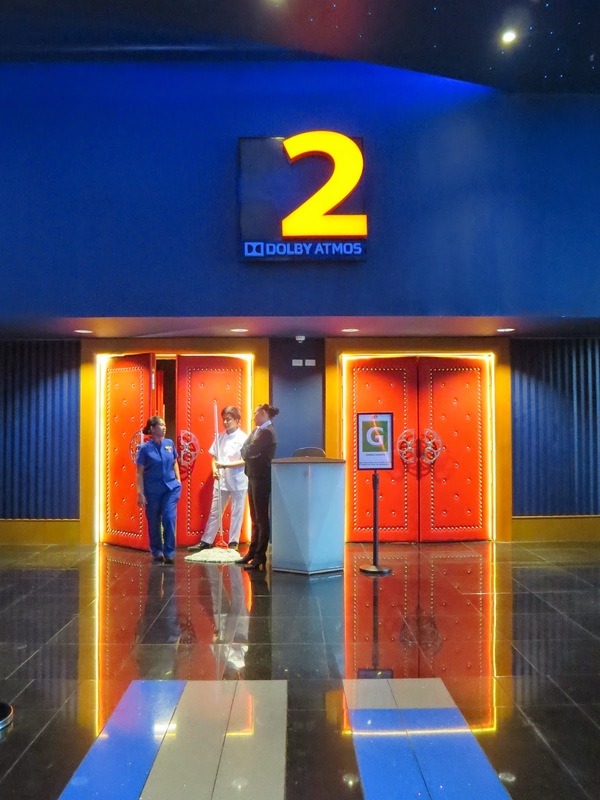 T and I have always been talking about how we wished there were cinemas in the Bonifacio High Street area aside from the ones in Market Market. Finally, our wish came true! 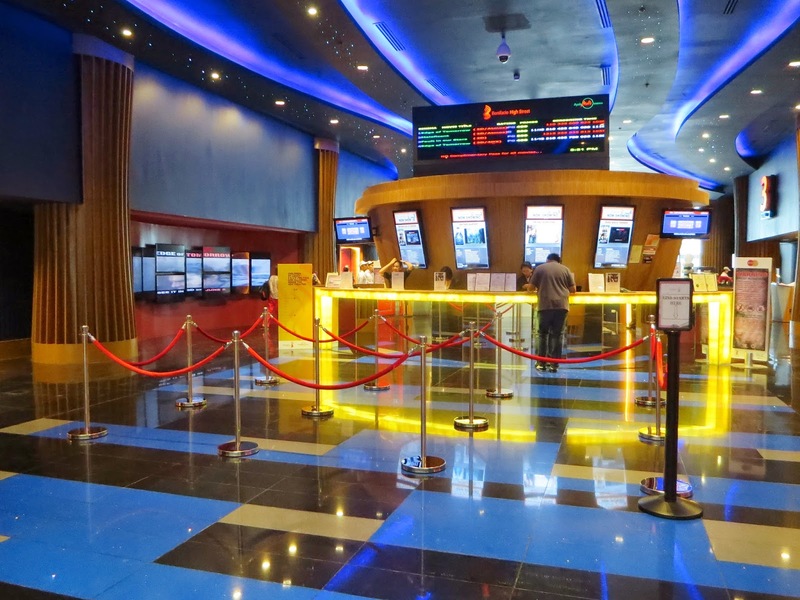 There are 4 theaters in the Bonifacio High Street Cinemas. Cinemas 1 and 2 are equipped with Dolby Atmos. It has more to do with sound than with the picture. Dolby claims that the audience will "experience a natural and lifelike audio experience" in theaters with Dolby Atmos. Cinema 3 is equipped with Dolby only. Now, here comes the good part.. Cinema 4 is equipped with 4DX! Like 3D cinemas, we are given glasses to wear but the difference is that the chairs also move based on the movie. It also has other components such as purified water being sprayed on your face or scents that fill up the theater during particular scenes in the movie. It is definitely the complete movie experience! 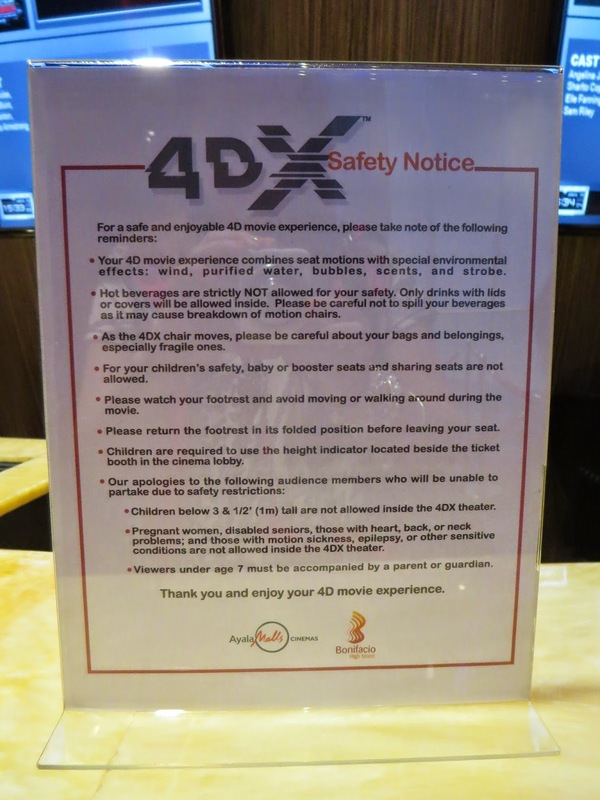 Since 4DX is different from regular movie watching, please read the safety notice. NO hot beverages, NO open beverages, NO baby or booster seats. 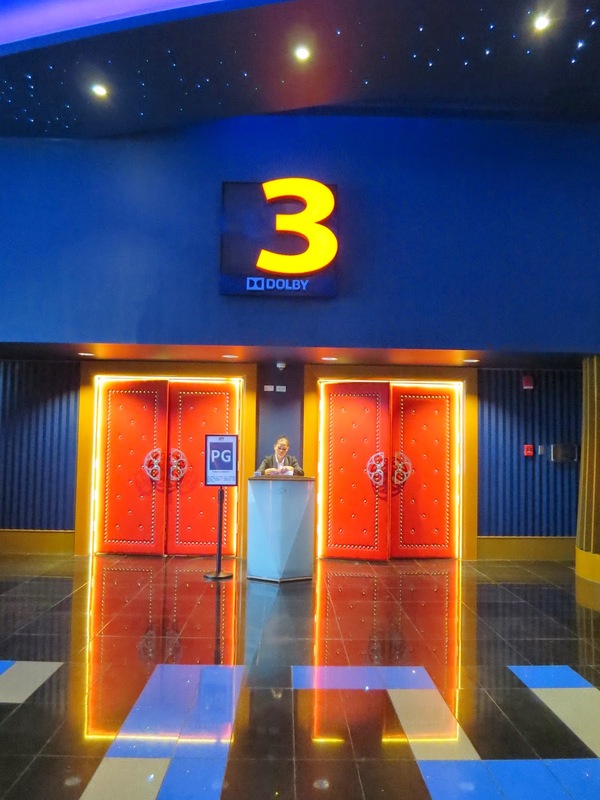 Also, kids must be at least 3 & 1/2" tall to be allowed inside the 4DX theater. 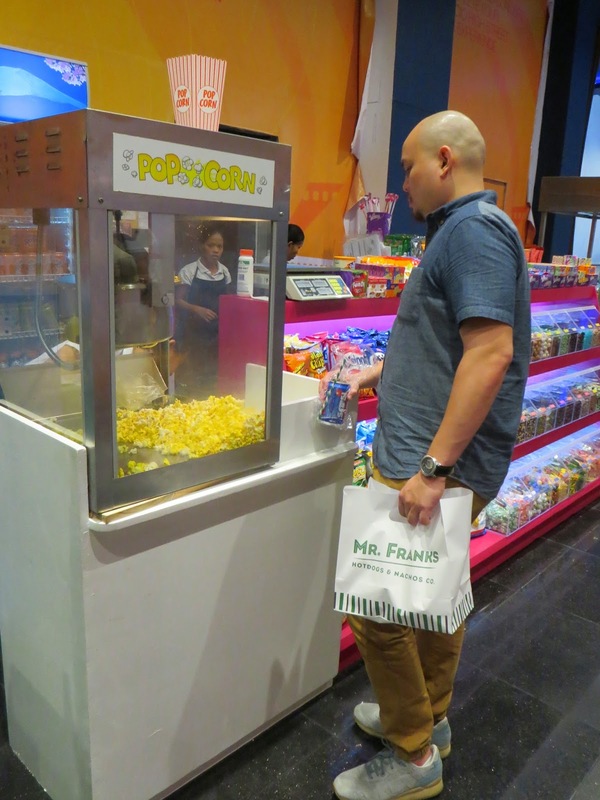 Before describing my 4DX experience, here's a look at the food merchants around the cinema area. There's Krispy Kreme, Potato Corner, Slice, Mr. Franks by Chef Florabel, Happy Lemon, Family Mart, and a popcorn and candy store. I got myself a large order of BBQ fries and Bayani Brew from Potato Corner while T got himself Mr. Franks from Chef Florabel and popcorn. The popcorn is good since they use a special kind of butter. My friend told me how enjoyable it is watching Maleficent on 4DX since the theater is filled with the scent of roses during certain scenes. So, I asked T if we could watch Maleficent again even after watching it in a regular movie theater. 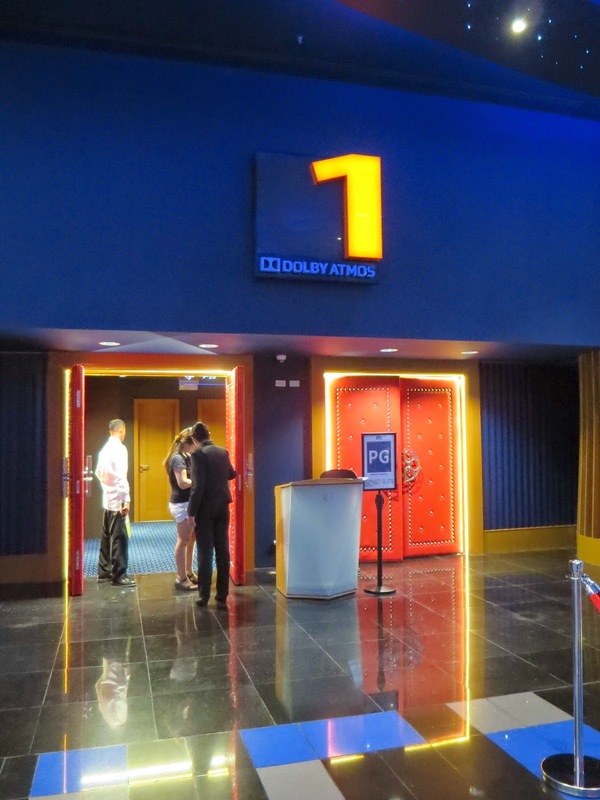 Unfortunately, when T and I went there, Bonifacio High Street Cinemas already changed the movies and Edge of Tomorrow is being shown on the 4DX cinema instead. Thinking the experience would be the same, I bought tickets. But boy, was I wrong! Edge of Tomorrow is a war slash alien movie. There are too many motions, too many movements. At first, I was ok. Feeling a bit dizzy with all the yugyog of the chairs whenever the aliens attack the humans, but what really got to me is the smell!!!! Whenever an alien is killed, the machine in front of me sprays an awful "wet metal meets dead rat" scent directly to my face. I think I rushed to the bathroom two to three times and threw up everything I ate. Horrible, horrible, horrible. So do I recommend watching a 4DX movie? If you're the type who gets dizzy while reading in the car or gets motion sickness while riding a boat, I advise against it. But if you really want to experience 4DX, choose a movie that's pleasant and not so action-packed. I think Maleficent would've been enjoyable but Edge of Tomorrow is just too much for me to handle.